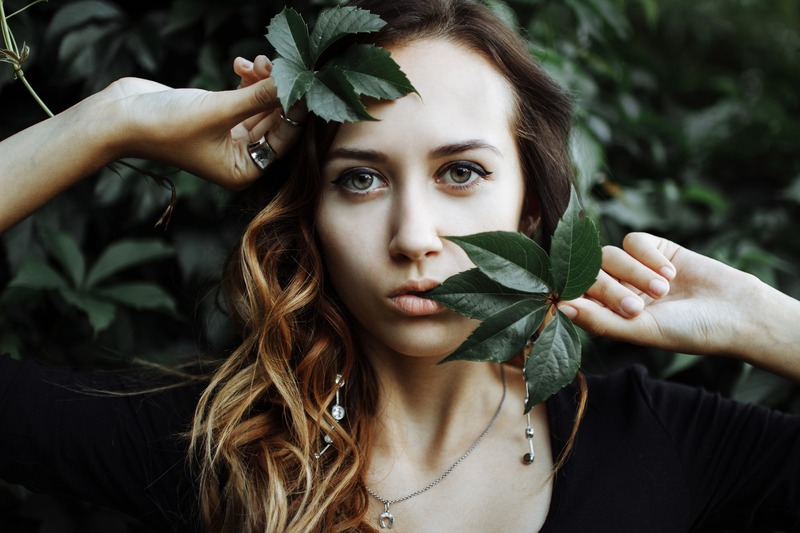 What is Plant Placenta Beauty Skin Care? After many years of research, Swiss scientists have develop a new and effective formula for skin cell rejuvenation. The use of Phyto(plant) placenta is found in the heart of young plants and plays the role of nourishing and feeding the fruit during its growth. Throught biochemical research, the composition of pytho placenta and human placenta are very similar in terms of amino content. Thus, phyto placenta has substituted animal and human placentas in cosmeceuticals, and promices to deliver long lasting results. Phyto placenta is rich in amino acids such as Alanine and proline. These amino acids are linked with peptides, trace elements, nitrogen and phosphorous compounds involved in cell metabolism. There are proven to increase the oxygen supply in your cells to enhance protein synthesis in our skin. Phyto placenta provides cell regeneration results that are even better than those human placenta. PBR contains many powerful naturally occurring antioxidants such as glutathione, which is the most important antioxidant found in plant and mammals that prevent damages to the organ cells. These antioxidant fight free radicals that would damage cells and cause aging. They help to brighten skin tones, and protect your skin from being exposed to pollution and harmful substances. They can also detoxify the skin and the body. PBR provides amazing skin rejuvenation by restoring skin cells and reducing wrinkles. It also promotes collagen production which keeps the skin firm and smooth. PBR is exclusively from Swiss R&D under microbiological control guideline. The essence of PBR comes from high concentration of botanical extracts. Newly formulated ampoule with the finest ingredients and proteins that help your skin be healthier and radiance. Apply 1 ampoule with a cotton ball on the face and neck. Please let us know if you noticed a difference in your skin by trying these tips and leave us a comment. We would love to hear your story. Skin care has to be applied in order to prepare skin for better penetration/absorption and optimal results. 1- Wash your face with gentle cleanser and rinse with warm water. 2- Apply alcohol free toner to balance the pH in the skin. 3- Nourish your skin with serum. 4- Dab eye cream to maintain healthy skin around the eyes. The skin around the eyes are the most sensitive and tends to get thinner to form wrinkles and show signs of aging. 5- The most important is to moisturize your skin to maintain it hydrated during harsh weather. 6- Protect your skin with a sunscreen sealing barrier against the intense sun rays. Re-apply during mid afternoon when the sun is the strongest. NIGHT ROUTINE IS REALLY IMPORTANT TO SOOTHE THE SKIN AND REPAIRS ITSELF. 1- Make-up remover or oil cleanser to remove all the make-up, oil and dirt from the skin. 2- Use a exfoliating facial scrub with foaming face wash to prepare the skin to absorb the repairing nourishing boosters. 3- Apply toner with a cotton ball. 4- Eye Cream to protect the sensitive skin from other skin care products. 5- Use Ampules super boost of active ingredients to repair skin issues. 6- Apply serum to nourish the skin from environment aggression. 7- Night cream is a thicker protective layer to maintain maximum hydration and healthy skin. TRZell P-Centa contains CoQ10 is not only designed to make you feel much stronger, but it also makes you look younger in just days when you starts your cell therapy. Improves your immune system dramatically, maintains your skin elasticity, firmness, and hydrates your skin by targeting and optimizing the building blocks of these cells distributors points, allowing you to do the things you most love by replenishing your body with energy again. This a nutritional supplement that has no chemicals but only natural ingredients and therefore holds no health risks but only fills your body with the necessary. Rejuvenate and improve your skin elasticity creating a youthful complexion. Because of the high demand of cell therapy, cell therapy is an expensive therapy that is so effective that many celebrities and famous people will travel to Europe to get it by spending 10 of thousands of dollars to keep them looking beautiful and young. Today, thanks to the advanced of technology, the once therapy only available to the rich and famous is now available to the general public in a concentrated softgels form allowing you to enjoy the whole therapy at the comfort of your home. Black Friday Deal Buy 5 get 1 free TR Zell the 6, box supply therapy will increase the effectiveness and overall health improvement. Limited time deal of the year after Thanksgiving incredible sale. CYBER MONDAY HURRY SALES ENDS TODAY! Nutritional supplement cell therapy designed to make you feel stronger and look younger in just days. Improves your immune system dramatically, maintains your skin elasticity, firmness, and hydrates your skin by targeting and optimizing the building blocks of these cells distributors points, allowing you to do the things you most love by replenishing your body with energy again. This a nutritional supplement that has no chemicals but only natural ingredients and therefore holds no health risks but only fills your body with the necessary. One box of TR Zell P-Centa comes with 30 Softgels. Take one softgel(1) twice per day taken 30 minutes before breakfast and evening, to ensure the most complete assimilation. Taking in combination with healthy diet and exercise will help to enhance the effect. 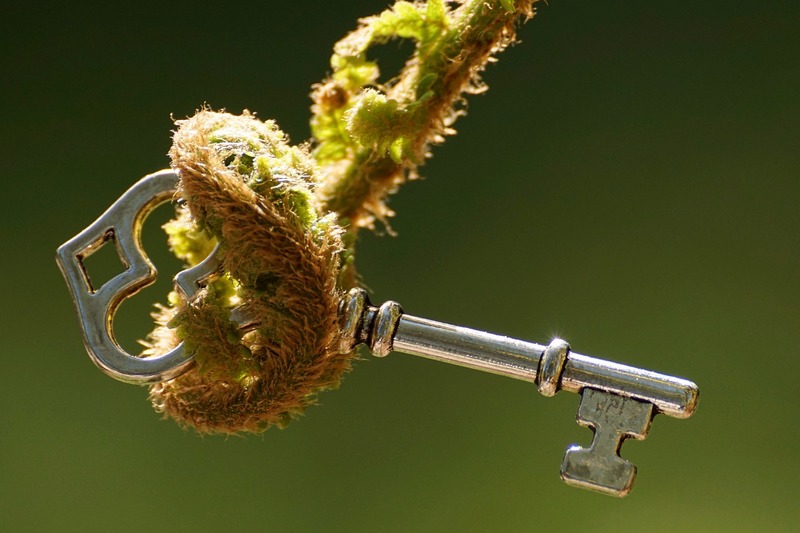 How Phyto Based Rejuvenates your skin? Many researchers are always in the search of new, safe and effective formulas for anti-aging. After continued researches, plant placenta has proven to work best for anti-aging. Phyto is Plant placenta, also known as vegetal placenta, is found at the very heart of young plants under the pistil which nourishes and feeds the fruit during its growth. It has extraordinary regenerating power and has many amino acids, protein, mineral salts, sugars, and antioxidants. Because it is so rich in these natural components, many skin care products companies as well as nutritional supplements manufacturers are using plant placenta as one of their main ingredients for making anti-aging products. How does plant placenta helps in anti-aging treatments? This has something to do with the bio-analogous composition among the plant placenta and the human placenta. They are similar in terms of their amino acid content and distribution, meaning when plant placenta is used the amino acid and peptides act as a veritable bio-stimulator and therefore the skin cells are stimulated naturally. Because plant placenta is high in amino acids, as a result it provides cell regeneration better than those of human placenta. The use of cell placenta in beauty products would increase the oxygen consumption level in cells by 70%! This means that cells are synthesizing more protein which is indispensable to many functions and structures of the skin. Plant placenta not only helps regenerate cells faster, it also helps whiten the skin. Glutathione, one of the body’s most powerful antioxidant, plays an important role in whitening the skin pigmentation. It helps fight off free radicals in the body and prevent the production of melanin, which is the pigment that gives our skin its color. The abundance of glutathione in plant placenta would protect your skin from free radicals while whitening your skin at the same time. It also improves the skin complexion and the overall health of your skin as well by detoxifying the cells, removing heavy metals and toxins. 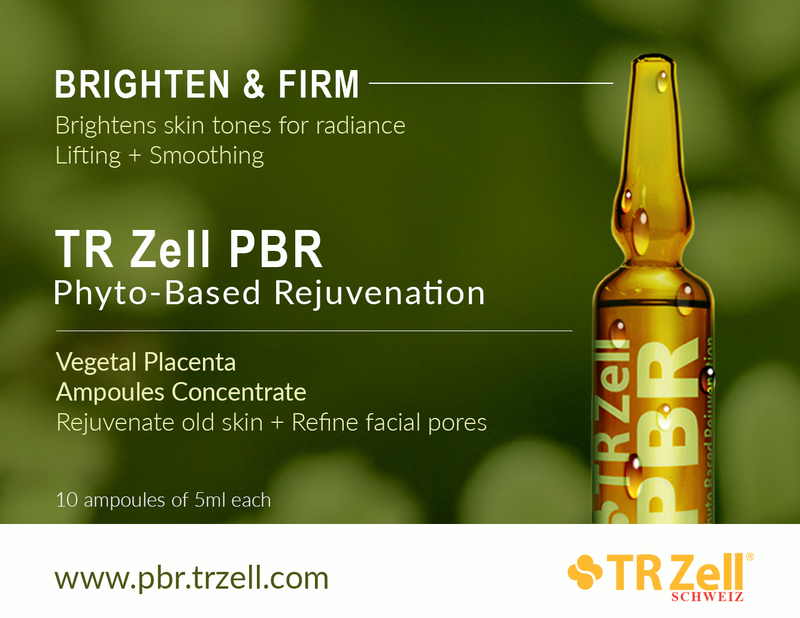 The search for youthful looking skin is became a reality with TR Zell PBR Photo Based Rejuvenation supercharged serum ampules. A new beauty product that you might be interested in with high quality plant placentas as main ingredient. PBR (Phyto Based Rejuvenation) is a newly developed and effective formula for skin cell rejuvenation. This ampoule contains naturally occurring antioxidants which intervene in the metabolism of free radical and other substances produced by the oxidation of lipids at the cellular membrane level. Rich in amino acids and antioxidants, PBR helps protect your skin from being exposed to harmful pollution and enhances your beauty. Ampoules are supercharged serums with higher concentrations of active ingredients to deliver potent skin nourishment to fix skin crisis. Many ampoules are made to target specific skin problems such as anti-aging, wrinkles and dark spots. This ampoule offers complete skin cell rejuvenation providing cell regeneration to enhance your beauty. Skincare line made from a botanically-derived extract from plants placentas. This extract is similar to human placental extract that also helps rejuvenate damaged skin. Famous celebrities are spending several thousands of dollars for placenta skin care facial treatments to slow down the signs of aging. The plant placenta is the natural substance found in plants. It contains a high concentration of amino acids, and antioxidants that promotes skin’s natural collagen production. Plant placenta can be absorbed deeply into the skin to repair damaged tissues such as skin abrasions, irritation and burns. It contains naturally occurring antioxidants which intervene in the metabolism of free radical and other substances produced by the oxidation of lipids at the cellular membrane level. Rich in amino acids and antioxidants, helps protect your skin from being exposed to harmful pollution and enhances your beauty. Plant placenta is a very powerful ingredient for beauty treatments. This is a luxurious beauty product was only available at high-class beauty clinics. The amazing thing about placenta is to improve major aging skin problems. PBR (Phyto Based Rejuvenation) is a newly developed formula for skin cell rejuvenation by using natural plant placenta and a complex extraction process that retains the plant placenta’s molecular compatibility with the skin. After many years of continuous research, plant placenta has proved to provide cell regeneration results better than ever: making it safer, cost effective, and accessible for consumers. Constant use will regenerate skin and provide unbelievable hydration to maintain supple and smooth skin. 1. Double step cleansing – Cleansing two times is an important step of the skincare regime. The first step removes all traces of makeup, oil, and dirt with a liquid cleanser. Then a cleansing oil treatment eliminates bacteria and impurities from the face and neck. The second step use the mild foaming cleanser to wash the face in circular motion, using fingertips or use clarisonic’s brush to deeply clean pores and exfoliate your skin. 2. Korean women massage their face. Facial massages can increase blood circulation to give the skin a healthy glow. Massage your face following the contour of the facial muscles. begin from the cheekbones towards the temple. Then massage the the nose, forehead and the edge of the face. Lastly, use fingertips to massage the eyes to reduce puffiness. 3. Apply toner to clean face to help nourish the skin and reduce pores. The toner help hydrate and balance the skin pH level. Elemis nourishing toner effectively tones skin, balances its pH level and preserves the natural oils, without the use of alcohol or harsh detergents, to reveal a radiant and hydrated complexion. Contains Extracts of Korean Ginseng, Quillaja Wood and Sweet Betty Flower help to revitalize and moisturize skin, leaving a radiant and hydrated complexion. 4. Essence is a nourishing liquid filled with nutrients for the skin. They contain ingredients that increases cell turnover to revitalize the skin. 5. Serums contains concentrated key active ingredients to address specific issues like brightening, dark spots, wrinkles, etc. Mileox Pro Infutox Serum has photon red LED light has the most rejuvenation effect of the skin and increases the absorption of the serum to reduce aging fine lines, acne and pores. Phyto Stem Cell Serum contained one of the most advanced formulas in cell growth repair and anti-aging. When used in combination with massager, the serum may penetrate effectively. 6. Ampoule is a supercharged serum with even higher concentrations of active ingredients to give the skin an extra boost to help certain skin crisis in a shorter period of time. PBR ampoule phyto placenta contains high concentration of botanical extracts with naturally occuring antioxidants which intervene in the metabolism of free radical and other substances produced by the oxidation of lipids at the cellular membrane level. Rich in amino acids and antioxidants, PBR helps protect your skin from being exposed to harmful pollution and enhances your beauty. 7. Face mask face mask infuse the active ingredients into the skin. It takes half hour for the ingredients to really penetrate your skin. 8. Eye cream The skin around the eye is pretty thin. This area need to be hydrated and protected all day long. This will help reduce the appearance of fine lines. SwissZell unique formula contains active ingredients that instantly tenses up and reduces the appearance of wrinkles. They target the delicate eye area and fight the tiredness responsible for dark circles and puffiness. 9. Face moisturizer Apply soothing moisturizer for long lasting hydration. Gernetic Synchro rejuvenating, revitalising, nourishing cream, reestablishes the pH of the skin. 10. SPF Applying sunscreen everyday will protect your skin from UV rays to avoid the development of dark spots and wrinkles. Korean beauty has become very popular in the US market with its 10 step skin care routine. In Korea every step is important in the skin care regimen but in US most people don’t know the importance of ampules and tends to skip this step. Ampoules are supercharged serums with higher concentrations of active ingredients to deliver potent skin nourishment to fix skin crisis. Many ampoules are made to target specific skin problems such as anti-aging, wrinkles and dark spots. Some ampoules offers complete skin cell rejuvenation providing cell regeneration to enhance your beauty. The active ingredients vary depending on the type of skin issue. The high quality active ingredient used for anti-aging formula is plant placenta because is rich in amino acids and antioxidants to protect the skin from free radicals. Ampoules are usually stored in small ampoules, vials or capsules. Each individual ampoule is the recommended dose needed per application since it’s a potent concentration of high quality ingredients. They don’t contain fillers, preservatives or chemicals. Once the ampoule is opened you need to use all of it because the formula doesn’t contain preservatives. You get more nourishment per application, making it more effective targeting specific skin issues and you will see better results in shorter amount of time. This special nourishing treatment course could be used until you solve the skin problem or used regularly to maintain a healthy glow. This booster can bring out flawless skin in emergency situations such as special events or if you are having a horrible day. When to use an ampoule in your skin care routine – Korean skin care regimen: 2 steps cleansing, exfoliate, massage, toner, essence, serum, ampoule, mask, eye cream, moisturizer, and finally sun screen. The difference between essence, serum and ampoule is the amount of concentrated active ingredients and what issues you want to target more. When there are several issues with your skin you can target them individually. Use essence is lighter and can be used for smaller issues such as shrink pores. Next use a serum a bit more concentrated with active ingredients to target fine lines and acne in higher concentrations. Then use ampoules for a supercharged boost of complete anti-aging skin cell rejuvenation. This powerful combination will show radiant skin within two weeks while multitasking products might take longer. Apply ampoule serum one a week or everyday depending on the brand and how fast you need to treat skin issues. Please follow the instructions in the box, every brand is different. Pour the content on your hands or a cotton ball and gently apply onto the face and neck area, avoiding the eyes. Let the skin fully absorb the content. From many ampoules in the market there was one that stood out. PBR (Phyto Based Rejuvenation) is a newly developed and effective formula for skin cell rejuvenation. This ampoule contains naturally occuring antioxidants which intervene in the metabolism of free radical and other substances produced by the oxidation of lipids at the cellular membrane level. Rich in amino acids and antioxidants, PBR helps protect your skin from being exposed to harmful pollution and enhances your beauty. Found naturally in some foods, vitamin E is known to play a key role in immune function and in certain metabolic processes. Since vitamin E is an antioxidant, it’s also thought to fight oxidative stress due to free radicals. As an antioxidant, vitamin E supplements are often touted as a natural means of treating or preventing various diseases associated with oxidative stress, such as heart disease, age-related vision loss, Alzheimer’s disease, and diabetes. Vitamin E is also applied topically on the face and body and is an ingredient in skin care products. Although vitamin E is found naturally in a number of foods, some people take the supplement in an effort to boost their levels of this essential nutrient. Individuals with illnesses like liver disease or Crohn’s disease may need extra vitamin E, however most people can achieve adequate intake through diet alone. Free radicals form as a result of normal body processes. They cause damage that shortens the life of your cells. Vitamin E is a powerful antioxidant that may help reduce free radical damage and slow the aging process of your cells. Vitamin E may help repair damaged cells. It’s difficult to consume too much vitamin E in your regular diet. It’s neither risky nor harmful to obtain vitamin E from food sources. Vitamin E comes in capsule (often called softgels), tablet, or liquid form. Some oils are intended for topical use only, so it’s important to read the labels carefully. Two types of vitamin E supplements are d-alpha-tocopherol (the natural form) and dl-alpha-tocopherol (the synthetic form). People need more IU of synthetic alpha tocopherol from dietary supplements and fortified foods to obtain the same amount of the nutrient as from the natural form. Most vitamin-E-only supplements provide ≥100 IU of the nutrient. These amounts are substantially higher than the RDAs. 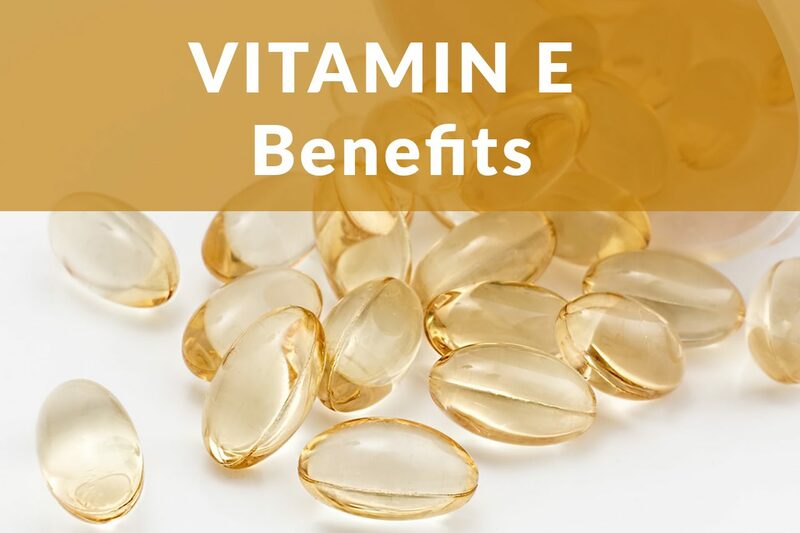 The 1999–2000 National Health and Nutrition Examination Survey (NHANES) found that 11.3% of adults took vitamin E supplements containing at least 400 IU. High doses of vitamin E in supplement form may increase the risk of serious side effects, such as an increased risk of hemorrhagic stroke. In some cases, taking vitamin E supplements in high doses may cause adverse effects (including nausea, vomiting, stomach pain, and diarrhea). What’s more, some research suggests that vitamin E supplements may lead to increased risk of heart failure and increased mortality. Vitamin E can thin the blood and increase the risk of bleeding. It may interact with blood-thinning medications and supplements, such as warfarin, garlic, and gingko. It shouldn’t be used within two weeks of surgery. If you are undergoing cancer chemotherapy or radiotherapy, consult your oncologist before taking vitamin E.
Research hasn’t found any adverse effects of vitamin E from food.